Why not take the Spockness abroad……why loose out on the chance of having incredible memorable images of you and your loved ones just because your getting married abroad. 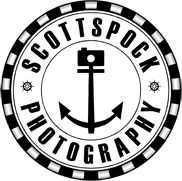 The Scott Spock team will travel out at least 1 to 2 days earlier than your wedding date to meet with your organiser and plan the hot spots to take your images. From past experience we know that we see the venues and their surrounding in a less traditional way to the local photographer and infect the Spockness factor, we also ensure that nothing is missed with your nearest and dearest.